There is no single way to use Slack. Every team will be organized differently, but it’s also flexible enough that any one person may use it in a drastically different way from their own co-workers. At Slack, we have about 1,900 public channels that any employee can read. Which channels people join and how they navigate the rest is up to each employee, and no two sidebars look alike. But how do you decide what works best for you? 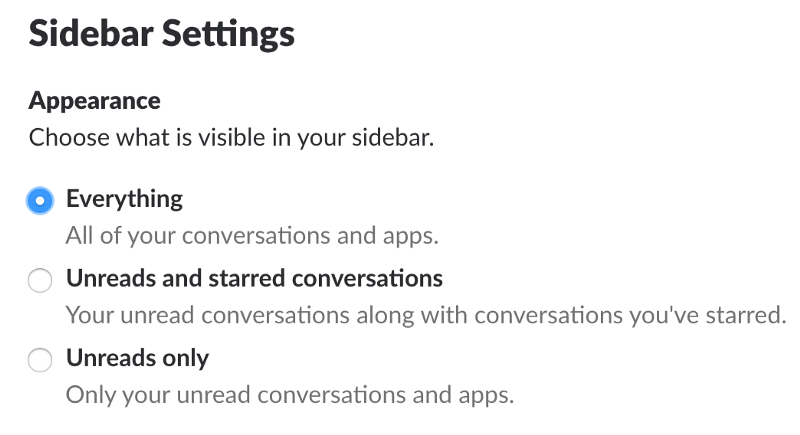 It starts with the sidebar visibility setting in Slack’s desktop/web app preferences; it can show every channel you belong to, or optionally only show unreads. You can customize this view to best fit your working style, based on your own tolerance for unread messages, communication priorities, or aesthetic preferences. 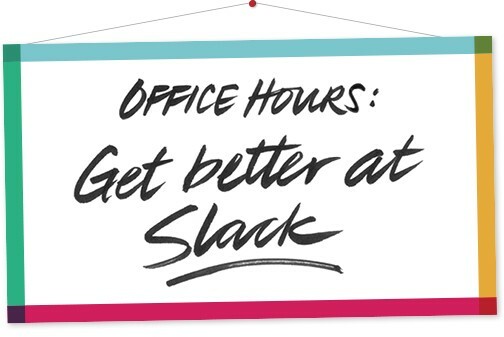 For this edition of Office Hours, we look at three people in different positions here at Slack and how their sidebar personalities reflect and affect their work. 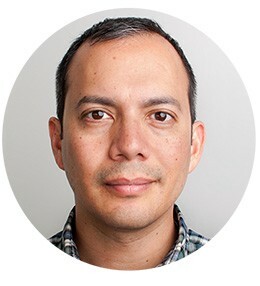 Andre Torrez works on the engineering team at Slack, on a few key aspects of the product. That focus in his work translates into his Slack app experience, which is all about minimalism. Andre hides everything by default, only showing his unread and starred channels (starred channels were a recent addition). He’s very selective in which channels he joins. For most hours of the workday his sidebar is blank, only showing half a dozen starred channels. Perhaps it’s a natural offshoot of a task-based engineering job — where bugs are fixed and features built line by line — but Andre’s experience reflects one where distractions are kept to a minimum, so he can retain focus to do his best work. When he starts work each morning, his unread channel count is probably a couple dozen long, and after a few minutes of catching up, he gets it back to zero and gets on with work, spent mostly in text editors. As the day ends, he typically gets the unread list back to zero as well before clocking off for the evening. He rarely checks in on mobile, or after hours. 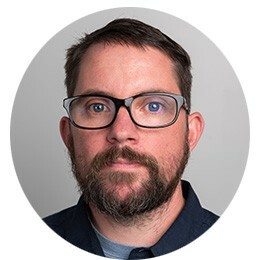 Rob Campbell is a Customer Experience manager at Slack, splitting his time between solving the thorniest technical problems customers face and managing a handful of others in different areas of support. Those wide-ranging responsibilities mean Rob is a member of several hundred channels, related to all aspects of the product. Rob was the first person I noticed that liberally used the mute function. For many channels of automated output, he might only need to check them once a day, so they get muted, which grays them out on his sidebar, even when there’s unread activity. He sporadically checks bug reporting channels when he spots problems users can’t fix on their own, but he doesn’t need to monitor those after reporting so he mutes them as well. Overall, when I look at Rob’s sidebar, he has about 50 or 60 starred channels at the top he checks throughout the day, then a list below with several hundred channels, about half of which are muted. Rob says he doesn’t feel overwhelmed, because aside from checking the starred channels at the top, he generally ignores the sidebar for navigation, instead opting to use the Quickswitcher to jump anywhere he needs instantly via his keyboard. As for missing anything from all those muted channels? Rob asks coworkers to always at-mention him by name so he’ll be sure to see it. 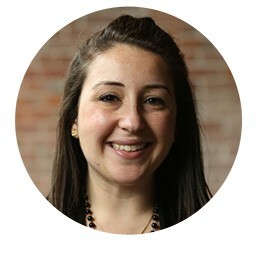 Lima Al-Azzeh works on the editorial team at Slack, which means she reads marketing, PR, and announcement channels as well as channels related to product development, customer stories, and customer support. As a writer, you never know where your next story might come from, so she tends to drop into all sorts of channels and rarely leaves. Lima’s approach is to follow about 30–40 starred items most important to her at the top of the sidebar. These are channels related to the editorial team, channels for short-term projects, as well as direct messages with employees she talks to most often. Like Rob and Andre, she focuses on everything in this starred list, trying to keep everything in those read, and only sporadically breezing through the list of a couple hundred channels below, many of which are unread. Unread channels might make some people nervous, but for others it’s no big deal. The differences between users reflect not only how each employee interacts in an organization based on their specific job, but also how each person deals with FOMO. Some people are most effective when they look at only the most specific things vital to their job, while others need a broader view but are ok silently ignoring hundreds of channels until they’re needed. Still others are comfortable with a bit of chaos as they carve out a way of keeping up on the most pressing items in their stream. Slack is used in thousands of different industries, and how each person manages their sidebar means even employees in the same department can have different experiences in the product. 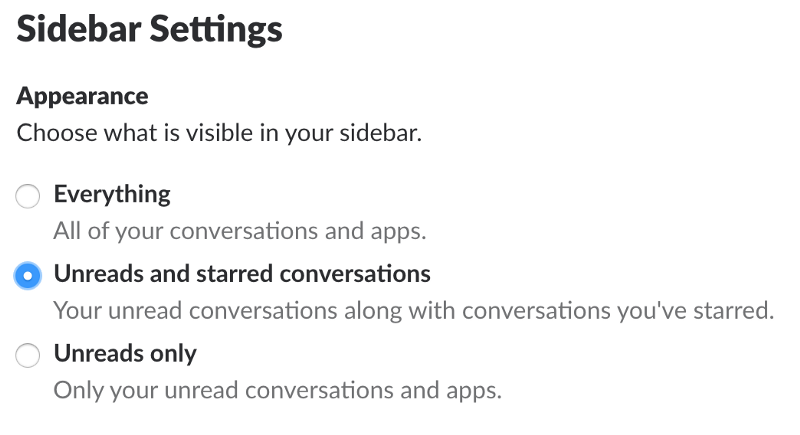 As you get more comfortable using Slack, there are oodles of settings in preferences worth exploring. Try tweaking some today to see if a more customized Slack app better meets your personal needs. Matt Haughey is a clutterhead like Lima, but after writing this has learned to leave channels like Andre and mute channels like Rob.